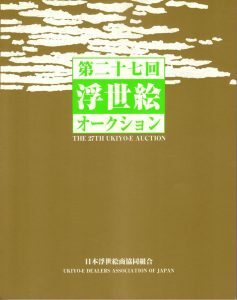 The 27th ukiyoe auction will be held hosted by Ukiyo-e Dealers' Assocition of Japan. 696 items will be exhibited at the auction this year. Anyone can participate in this auction. Registration is necessary beforehand. Please contact us. ・Please bear the transfer fee.